Markantonio and Atroxx dropped a callabrotive EP in 2018 on AnalyticTrail and after its success, the guys have joined forces again for a much anticipated follow up. Many techno fans know Markantonio as a leading figure in the Italian music scene, who this year celebrates his twenty years in the music industry, and having featured many notable releases on labels such as Sleaze (UK), Drumcode, Harthouse and Unrilis, along with his own AnalyticTrail. 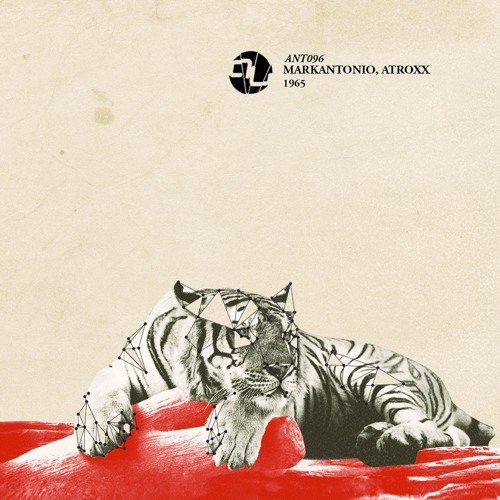 Atroxx first made contact with Markantonio via a release on AnalyticTrail, and eventually the guys built up a mutual admiration for each other’s music leading to them working together in the studio. Other artists to have collaborated on tracks with Atroxx include D-Unity and The Reactivitz, but he has also done many solo tracks and remixes for labels such as Kraftek, Funk'n Deep, Riot Recordings and District Audio. Opening the release is “1965” and its sinister vocal shrouded in dark atmospherics layered over the pounding of a heavy kick drum. The tearing bassline of “Return To The Summit” adds to the brooding intensity of the release, and “Creeton” takes us deeper with its stabbing pad riff.